Why Are All ‘Good’ Restaurants Around the World Starting To Look the Same? All Illustrations by Chie Ushio. I don’t remember how I first wandered into the place, but I do recall it seemed a perfect sanctuary from the bustle outside. The walls were hung with large, artful black and white portraits of people I assumed to be Argentinian icons. In fact, I learned by observation on subsequent visits, those apparently iconic figures were nothing more—or less—than Sabot’s regulars. The owner had commissioned photos of his customers and then decorated the place with the portraits. 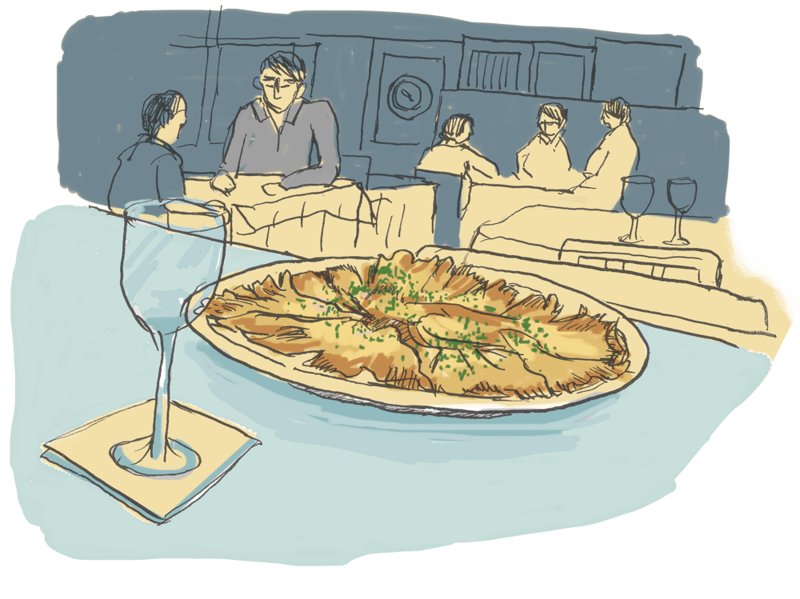 The clientele mostly hailed from the offices of a nearby Grocery Owners’ Syndicate, so they had a fundamental appreciation of Porteño food—a BA-specific cuisine made with fresh local ingredients and shaped by Spanish and Italian influences. The food was good. But, much more importantly, Sabot was a window into a particular universe of old-fashioned camaraderie. It had all the allure of a private club minus the snobbishness and privilege. As a visitor, it offered me instantaneous, hospitable immersion into a foreign place. When I arrived for my most recent visit, just after Christmas in 2014, things in BA were very different than I remembered. Down the street from the apartment we rented was an espresso specialist that rivaled anything you could find in Bushwick. 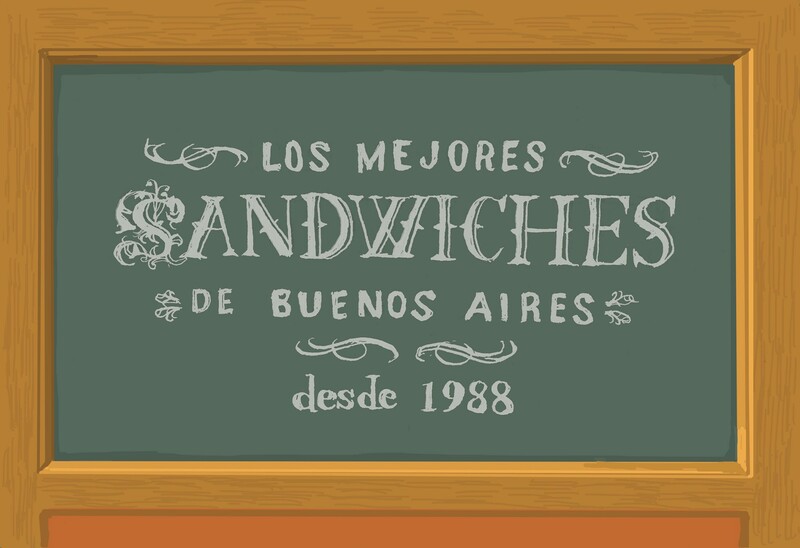 There were dozens of new Argentine restaurants and bars that had been influenced by the global stylistic and culinary imperatives of the past decade: Use local products; decorate with a fashionable minimalism; innovate the preparation of classic dishes; experiment with cocktail culture, etc. etc. I fed my third-wave coffee addiction by day and my craft cocktail fetish by night. 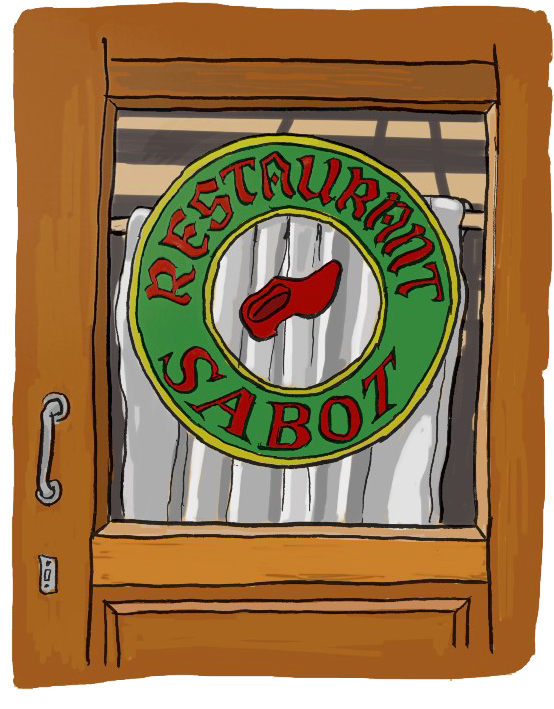 Then, having had my fill of fashionable food and fashionably-lit surroundings, I decided to return to Sabot. It was almost exactly as I remembered it (with one key exception—the stiflingly male atmosphere had been tempered by the addition of a few female patrons). The food was nowhere near the standard of the new, high-end, globally influenced places. But Sabot held a powerful appeal they did not, which made me think about the culinary homogenization taking hold in many cities around the world. It’s been a longstanding fear of travelers (or travelers like myself, at least) that global conglomerates like McDonald’s or TGI Friday’s might use the bludgeon of the Big Mac or the bluster of Flair to wipe out everything unique, provincial and good. But what struck me on this trip, not having seen BA for a decade and thus being more sensitive to what had changed, was how a different kind of sameness was permeating Porteño restaurant and bar culture—much more indie and elevated, but just as insidious. Restaurants, bars and coffee shops around the world have started to look, taste, sound, and smell more and more the same. I’ve seen it in other places I travel to regularly, as well, and it seems to be happening for two reasons: First, the rapid global dissemination of information about everything from roasting techniques to bar bottle arrangement. And second, the increased likelihood that a chef or bartender in, say, BA, will have traveled to New York, Paris or even Tokyo and been influenced by what he or she learned there. All this has led to a new orthodoxy embraced by the upper-middle-brow, in the form of the Michelin Guide and the San Pellegrino list, and by the high-brow/hipster, in the form of the MAD symposium or Ferran Adria’s El Bulli Foundation: Restaurants, bars and coffee shops around the world have started to follow the same template, from preparation to plating, soundtrack to sous-vide, hand-soap to hanger steak. They have begun to look, taste, sound, and smell more and more the same. But as a visitor, I also want to see what remains different, special, and unique about a destination. So the question I asked myself while savoring a second lunch at Sabot was, how I might do that, short of eating every meal here? I thought about who the customers were at the rapidly vanishing kinds of places I was after, and I realized the easiest way to find what I sought was to follow the old men (and in some cases the old women) who had been going to these joints their entire lives. I redoubled my conviction over a cocktail. Near Sabot, down a flight of carpeted stairs, through a hallway with a piano player, was the Plaza Bar. The interior was dark wood and the soundtrack was jazz punctuated by murmured conversation. The same older woman sat in the same chair each afternoon I visited and methodically read through the day’s newspapers while sipping her drink. 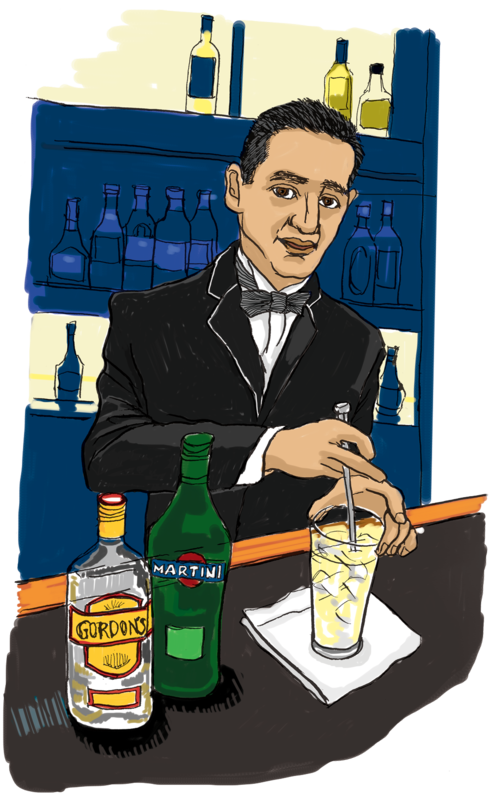 The barman mixed an Argentinian version of the martini, called a Clarito, always prepared with a twist, not with olives, and made with a healthy amount of dry vermouth. The cocktail was well made and the atmosphere thoroughly civilized, much like Sabot. This was a place that carried on the lineage of a great old Argentine bartender of the mid 20th century, Santiago Policastro, aka Pichin, the inventor of the Clarito. Just around the corner was a bar, Floreria Atlantico, that offered radically innovative and experimental takes on Pichin’s Argentinian classics, using all kinds of elixirs, bitters, and even a gin that they had invented themselves. But I was much happier with this only slightly gussied-up Martini, served in the same style as it has been for decades. I was not after some fake (and pernicious) idea of cultural purity; some of the most distinctively Argentine places, such as the country’s celebrated bodegons—usually cheap groceries turned restaurants—incorporate a mash-up of immigrant Italian, Spanish, and even German influences. I just wanted an ambience and a set of behaviors and attitudes that would be hard to find anywhere else. After some hopefully not-too-obvious tailing of older locals down the street, I scored my first success at Paulin, a counter-service only place in the centro dishing out lunch to local office workers. The sandwiches, especially the Peceto Completo (top-round piled with all the fixings) were tasty. But it was the unique micro-culture of the place that engaged you. Plates laden with fries streaked by, skillfully thrown five feet along the counter by cooks to waiters in what seemed like a sacred ritual. 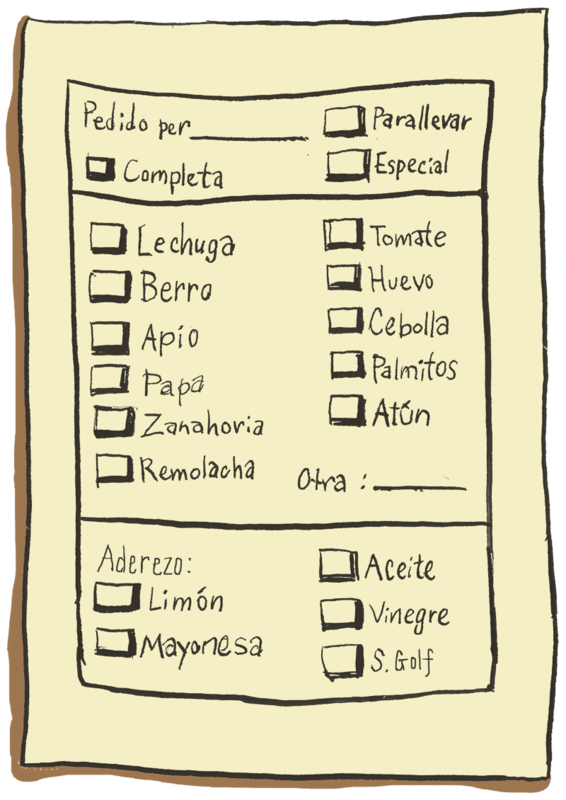 Paulin uses an arcane ticket system which means each guest has to safeguard his or her entry chit. 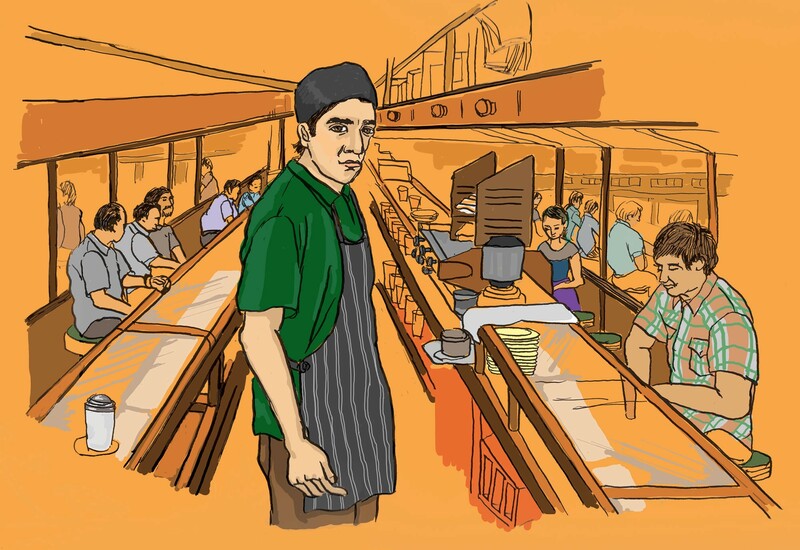 The feeling was not that you’d entered a temple celebrating the art of the sandwich as much as that you were experiencing things the way locals do: subject to the imperiousness of the guy behind the counter, forced to order instantly or risk being ignored. At many of the places into which I followed my new target demographic, I had to trade off the atmospheric benefits against underwhelming food or drinks. But then I hit upon a way to get the best of both worlds. 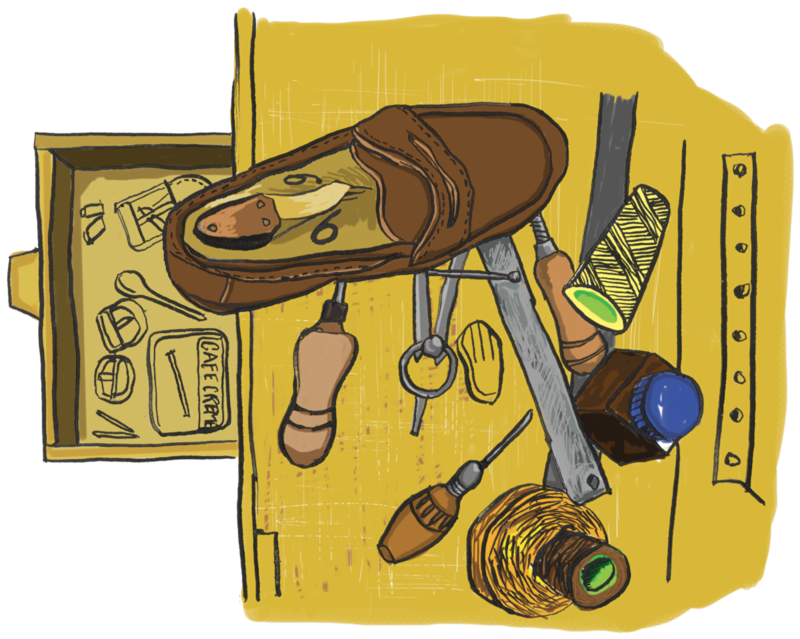 I decided my final foray into authentic BA culture would be about stuff: I wanted to buy clothes or shoes that dovetailed with what I’d looked for in bars and restaurants. But with more money at stake, I knew I had to choose carefully. 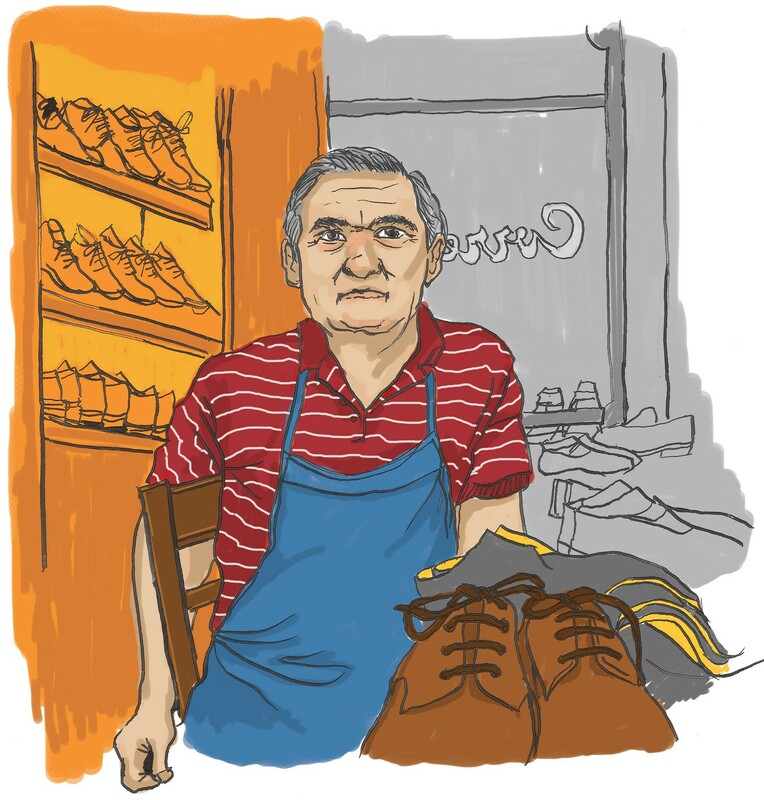 Correa sits in a neighborhood not far from the center but lacking any obvious tourist attractions, which seems ideal for the kind of shoe-making operation it is: A family business that’s been going for over 80 years and still makes everything on site, almost all of it by hand. There is an extraordinary, haphazard and totally unintentional beauty in the backrooms of the place, where leather hides are stacked ten feet high, shirtless old men stitch and stain, and three giant, placid German shepherds roam about. Here was the retail equivalent of the joints I’d been eating at: An opportunity to be fully immersed into a particular place and its way of doing things—to be measured, advised of choices and options, and then outfitted largely according to the owner’s whims. 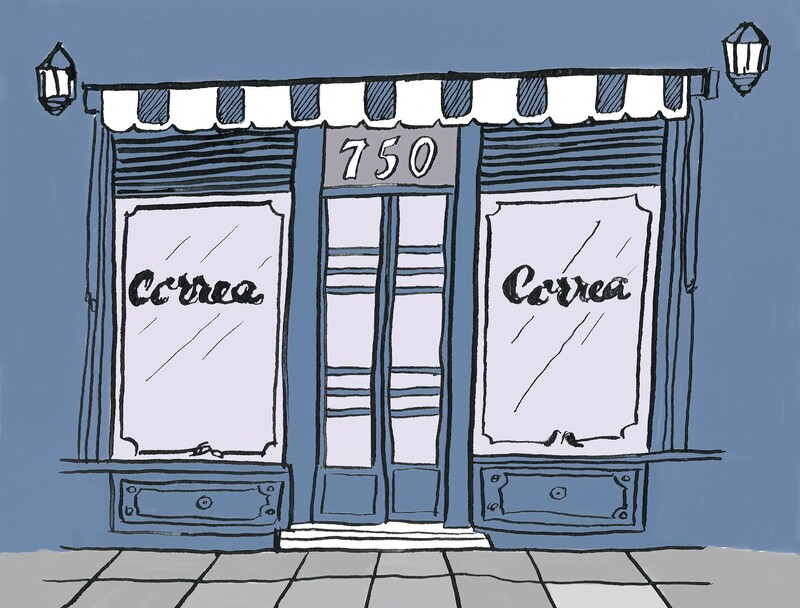 Correa’s clientele could have easily passed for the regulars at Sabot, Paulin, or Plaza Bar. The shoes I bought, though, were of a quality and design level that would pass muster anywhere in the world. I’d been searching for a way to describe what I was looking for in Buenos Aires, and wandering the rooms of Correa I realized more precisely what it was. There was a table in a room where sunlight poured in from above. It was the perfect convergence of light, color, shape, and feeling for which the R by Ralph Lauren store around the corner from my apartment in New York is constantly striving; yet it was completely unselfconscious. Correa was not assembling influences, techniques, and insights learned from experts at conferences, during internships, or on internet forums. It was simply being itself. And the time I spent there made me feel that, yes, I had come as close as I could to finding the (old) soul of Buenos Aires. (www.tomdowney.net ; @tjdnewyork) I write about Brooklyn firemen, Yemeni jihadis, Chinese internet vigilantes— anyone whose story moves me.